Rubrics provide an easy way to evaluate student participation and achievement when doing escape room/ Break Out box activities. This free rubric can be used to assess how well students co-operated, persevered and arrived at a solution as well as how well they connected the activity with content. 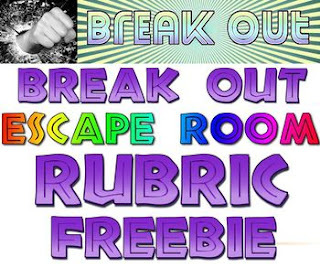 Editable, specific rubrics accompany all my paid product Break Out/ escape room activities. Bundle novel studies reading comprehension passages freebie All three Gabby St. Claire novels studies and reading passages. FREE!